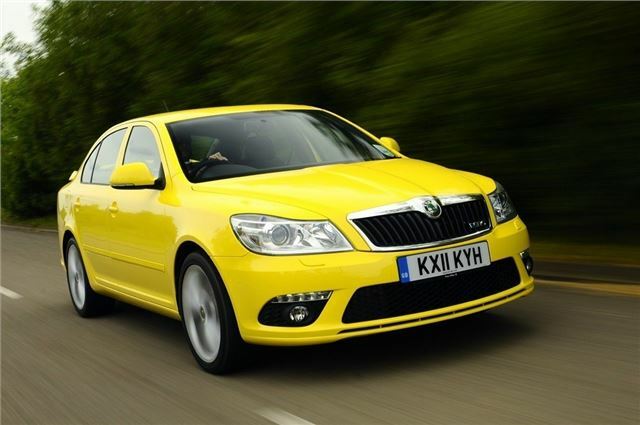 While the original Fabia vRS was diesel only, the Octavia vRS was powered by a petrol engine. That changed in 2006 though when Skoda added a TDI option to the line up. The engine was the trusty 2.0 TDI Pumpe Duse (PD) which was used across the Volkswagen, Audi, SEAT and Skoda ranges and even made its way into oddball stuff like the Dodge Caliber. The Octavia vRS got the 170PS version of the TDI engine (rather than the more commonly used 140PS) and although it has 30PS less than the petrol TSI version, it has 70Nm more torque. So while on paper it is slower when accelerating from 0-62mph, it is just as quick where it really matters, pulling from low revs. Admittedly it’s not quite as enjoyable or as smooth as the TSI, but the fact it’s more economical – the manual version returns up to 48.7mpg - makes it a very appealing hot hatch. The significant change came in 2008 when the 2.0 TDI PD engine was replaced with the newer common rail diesel. It’s much more refined and quieter too but the main difference is the power delivery. Whereas the PD engine would lag at low revs, giving you no power before suddenly shoving you forward with a big smack of torque, the common rail unit is more linear. As a result, it’s nicer to drive day to day and slightly faster from 0-62mph taking 8.3 seconds compared to the previous 8.5 seconds. That said, it’s a bit of a shame that it lacks the aggressive manner of the old engine which was part of its charm. The car we drove comes with the optional six-speed DSG automatic gearbox which works well with the TDI engine, although it isn’t always the smoothest transmission, particularly at lower speeds or when trying tricky manoeuvres. It’s happier at speed where the fact it’s a twin clutch gearbox means the shifts are lightning fast, so there’s no drop off in performance. Fuel economy suffers slightly if you go for the DSG but it’s just as quick from 0-62mph as the manual version. True, it’s not as fun as the other vRS models, but it makes so much sense, it's easy to see why it proved so popular.